The holidays are officially here. 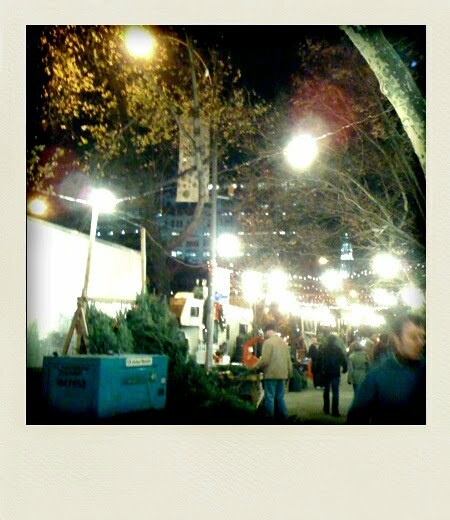 The pop up Christmas tree selling spots are the surest sign that that Christmas time is upon us. I noticed the beginnings of one such set up on 9th Ave last Wednesday, and they’ve sprouted up all over since then. Last night we were out in Tribeca, walking around the neighborhood to waste a little bit of time before meeting friends for a play. 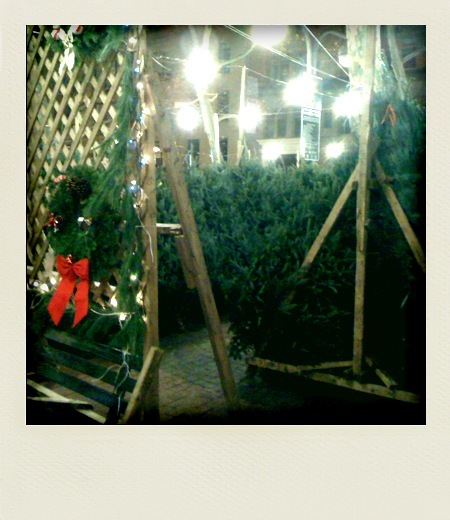 I had to insist we walk through the display so I could get a good smell of the trees. As you can see, it was pretty busy at 9:30 pm. 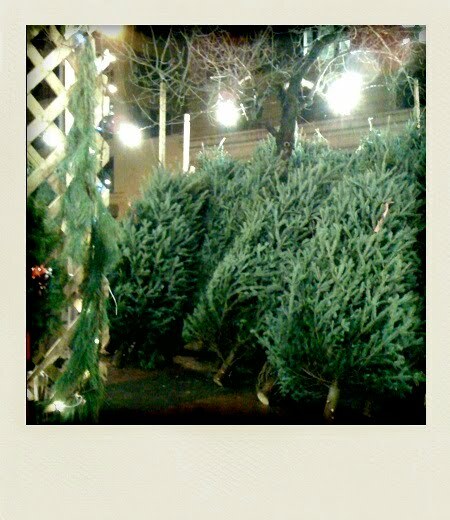 The trees had been cut in North Carolina less than 24 hours before (thus the great fresh smell) and were Douglas Firs. There were a few that must have been about 14 feet. That certainly won’t fit in our apartment, but we were assured that they were popular in the Tribeca loft area. The holiday spirit is not dampened by small New York apartments. This is one of my favorite times of the year. Buildings and streets are decorated with lights, stores have fun displays…ice skating is open in Central Park, Bryant Park and Rockefeller Center (there are alot of places to ice skate in Manhattan). And it’s ok to consume lots of hot beverages like hot chocolate to keep warm. Next > Tis the Season! Love your review of the holidays in NYC. One of my favorite times to visit New York. We've since moved on to an artificial tree and I definitely miss the smell of the Douglas Fir. Are you getting a tree?